Would you like to kick harsh chemicals out of your home? Listen to the Chemical Free Living audio and learn easy, simple, and affordable tactics anyone can do with the best essential oils on the planet. 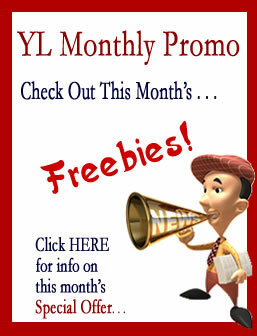 Grade A Notes Newsletter is a monthly email newsletter. both food and DIY recipes and other essential oil tidbits. 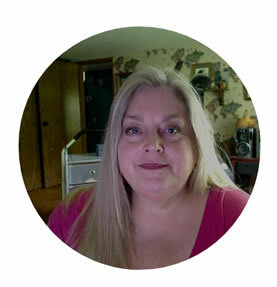 Hi, I am Melodie from Southeast Ohio, in Athens County. Welcome to Living and Aging Gracefully With Essential Oils. I am so glad you are here. I’m sure you are a lot like me, always looking for natural solutions to support a healthy lifestyle. I have been using Young Living Essential Oils for over 22 years. When I first started using Young Living Oils I had such a wonderful uplifting experience I just knew these products were going to be a big part of my life. At that time, I had no idea how many ways they can be used in every day life. I just loved the smell and how happy they made me. Fragrance has always been a big part of my life but I had no idea how full of harsh chemicals my perfumes, lotions, makeup, shampoo hair care and other personal care products were. Not to mention cleaning products. YIKES! Today I use essential oils to replace LOTS the products I used to use that are full of harsh chemicals. This is even more important as I am getting older, I am 59 now. All of those harsh chemicals are hard on the liver. It’s better to feel young and aging naturally as long as you possibly can. That’s what this blog is all about. I love sharing tips on using essential oils for supporting a young healthy lifestyle. Aging gracefully with Young Living Essential Oils, the best essential oils on the planet. Young Living Oils really are the best. They are the essential oil company that the others try to imitate. The problem is, the others do not have what Young Living has. They have no farms and distillation. They have no essential oil experts at the helm. 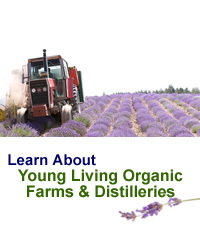 Young Living Essential Oils is the World Leader in Essential Oils and have set the standard for purity and quality. Every batch of oils is rigorously tested by independent laboratories before being sold to customers. You are protected by Young Living’s unconditional guarantee of purity and quality. To be able to ensure the high grade of essential oils, Gary Young has taken the ultimate step: He has developed his own farms and his own essential oil distillation techniques to guarantee the top quality he seeks. He has become a true pioneer in developing these operations in the United States. When processed correctly, essential oils are so highly concentrated, most of them are at least 50 times more potent than the herbs or plants they came from. When herbs are cut & dehydrated, they can lose as much as 90% of the healthy nutrients as well as the vast majority of the vital molecules. Not so with essential oils, which are many times more potent than dried herbs. Most of the essential oils you find in health food stores are so low in quality and full of adulterations, they are of very little benefit. Even essential oils labeled as “PURE” are not what they seem. There is a very big difference between the low quality essential oils and authentic premium grade essential oils. Check out the Essential Oil Quality section for more details.
. . . then please consider Young Living Essential Oils! 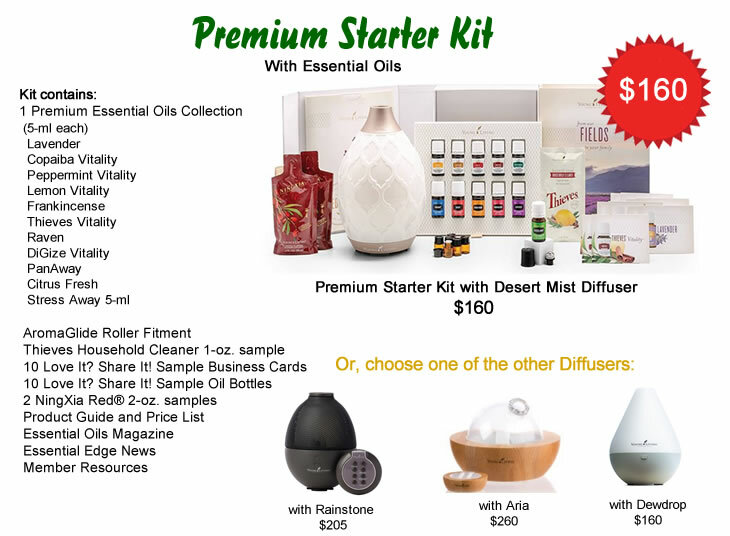 TO Purchase one of Young Living Oils Premium Starter Kit, become a Young Living Member by CLICKING HERE.